Single pane windows are an older version of the modern dual pane replacement window that uses a single pane of glass instead of the much more common dual pane window. Single pane windows were commonly used in the 50s, 60s, 70s and even the 80s as the go to home window option. 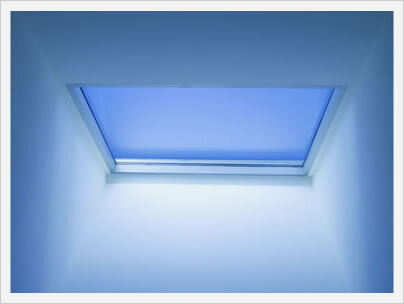 Typically, they consisted of a single pane of glass with an aluminum frame that sat in the opening. The problem, of course, is that the single pane window option is much less energy-efficient then the double pane windows of today. The older single pane windows, especially if they used aluminum in the frame, were quite strong and is one reason why they're so still so many of them are still in existence. 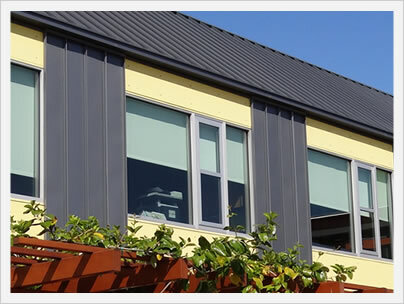 Aluminum is a very strong and durable window frame material that will last 50 or 60 years easily. They are, however, pretty terrible when it comes to keeping your home well insulated. This is why 90% of all replacement windows today are double paned. However, consumers still order single pane windows, either as storm windows or to help soundproof home windows. For more information on window glass, please refer to our Guide To Window Glazing. One option that consumers have that does not involve replacing their old single pane windows is the use of the storm window. Storm windows are placed either on the inside or the outside of an existing window and they can help to increase the energy efficiency, the insulating properties of the window and often times the overall look and aesthetics of the window itself. The major downfall to the storm windows is that they can be difficult if you want to get ventilation into the home during hot summer months. 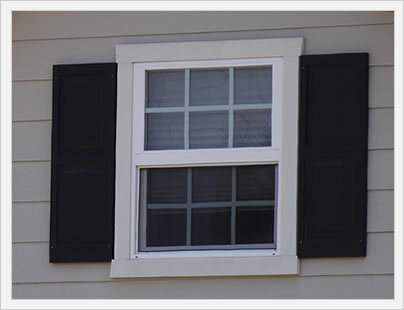 Exterior storm windows will typically have a two track or a three track option that will allow for easier opening and closing of the storm window so that ventilation is much more convenient. Often times, a storm window is actually a single pane window. It is tough to discuss single pane window prices simply because so few manufacturers make these windows anymore. However, if we assume that a single pane window is the equivalent cost to a storm window then the basic price range is $100 to $350 fully installed for a normal sized opening. In terms of a per square foot price, which is probably more accurate, most single pane windows will run $20 to $45 per square foot fully installed. The most popular frame material for single pane windows would have to be vinyl. Vinyl tends to be popular for a number of reasons, including the fact that it is quite affordable, gets very solid energy efficiency ratings and requires very little maintenance. Consumers can expect to pay somewhere between $50 and $175 for a vinyl single pane window, plus the cost of installation. More on vinyl windows costs. In terms of strength, aluminum is going to be much stronger than either vinyl or wood. However, aluminum leave something to be desired in terms of its energy efficiency and therefore it is best for exterior storm windows as opposed to anything on the inside of the existing window frame. Aluminum single pane windows will typically run more than vinyl, perhaps 25%. Wood single pane windows are going to be the nicest looking of all the frame options. They will also, however, be the most expensive. They will probably run 25% more than the aluminum frame option and will be used almost exclusively as interior inserts. Wood single pane windows will run $150 to $225 for the window, plus the cost of installation. Many of the single pane manufacturers we are going to be recommending sell storm windows.